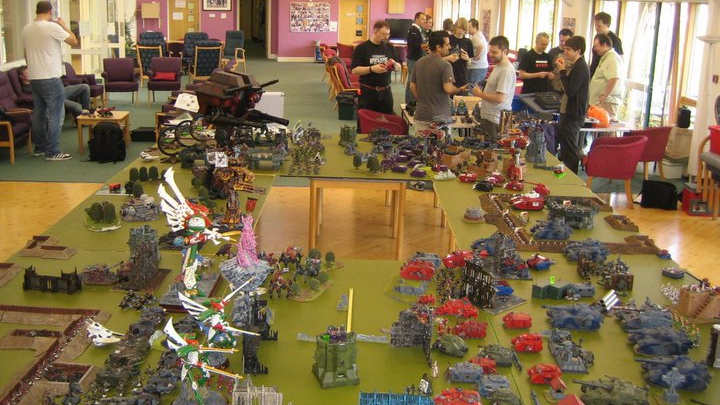 The Guildford Games Club was founded in 1998 as ‘DA KLUBB’ by Games Workshop. Originally meeting on a Sunday evening at the newly built Park Barn Centre, Games Workshop provided all of the boards and basic scenery to get the club started and a staff member to run it! In 2000 Games Workshop made the decision to no longer run clubs. The then staff of GW Guildford formed the first committee. A change of name and day soon followed and the club has met every Monday since.